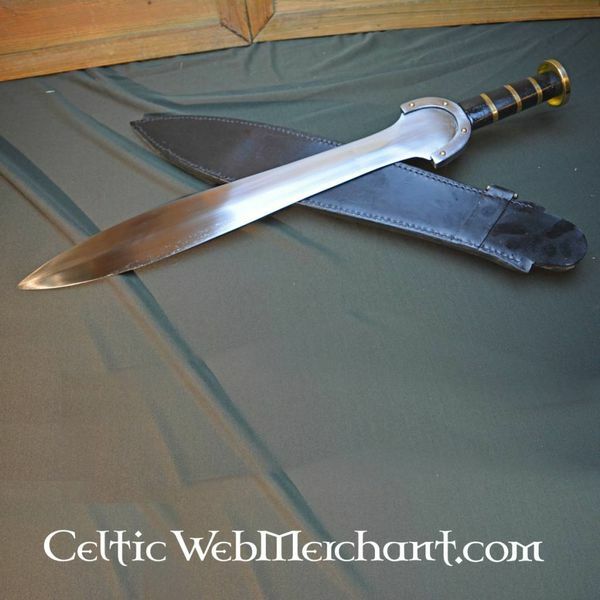 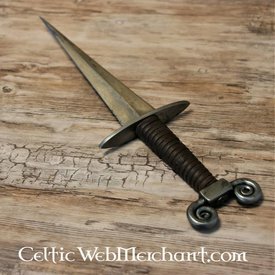 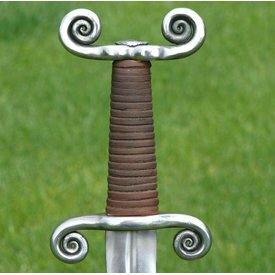 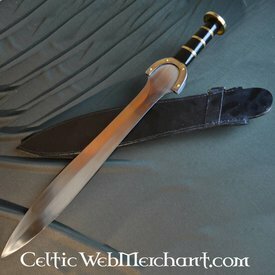 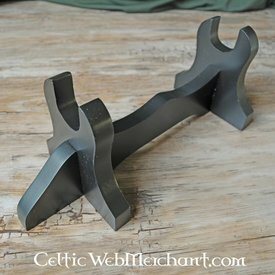 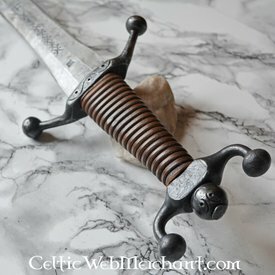 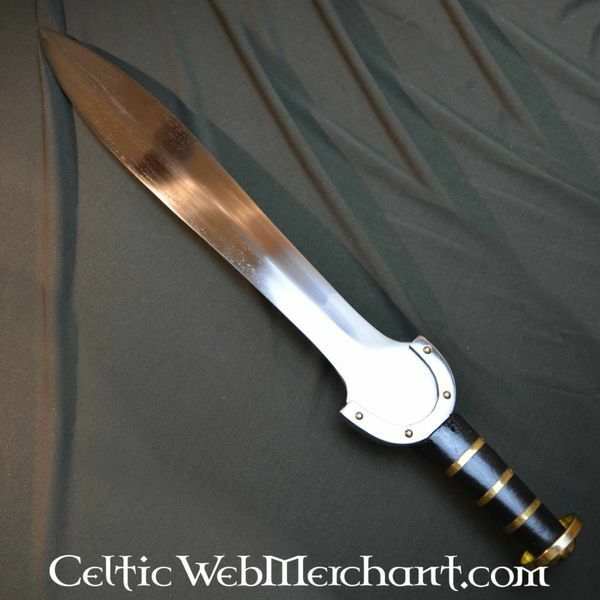 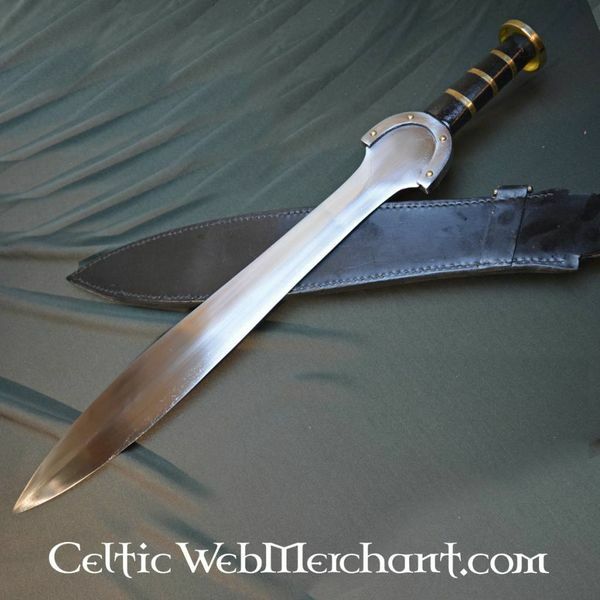 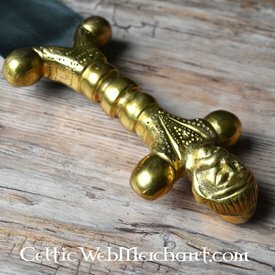 This sword is a replica of an early Celtic sword. 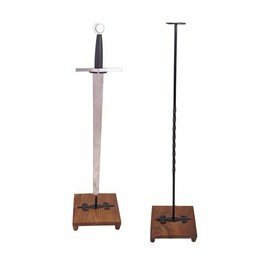 Originally made of bronze, this type of swords was used during the Hallstatt culture. 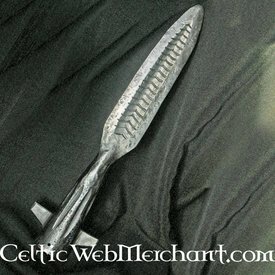 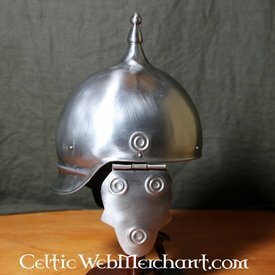 In later periods they were also made from iron. 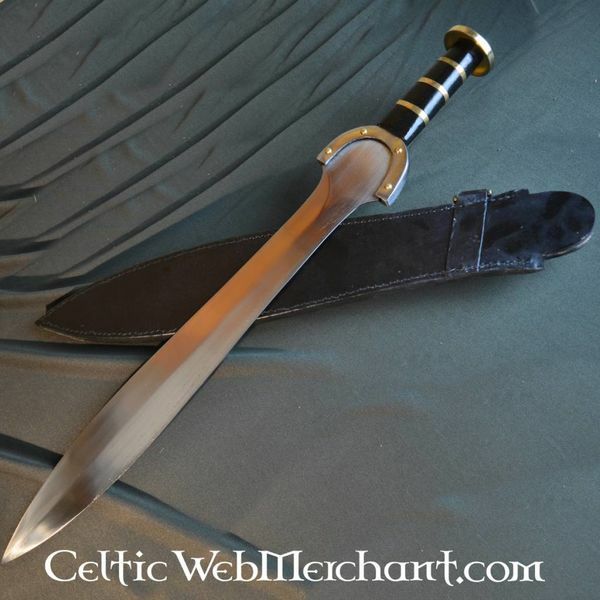 This sword is 73 cm long, with a blade of 59 cm and a hilt of 11,5 cm long. 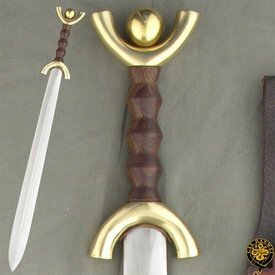 It has a semi-sharp, leaf shaped blade and comes with a black leather scabbard. 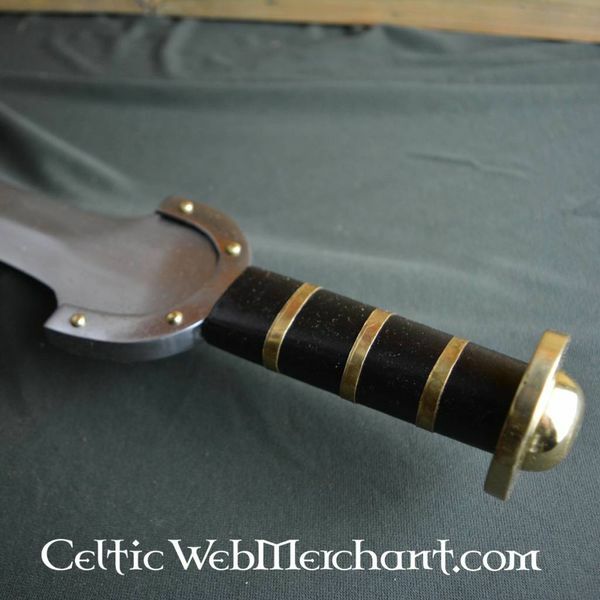 The scabbard is open on the side at the top 20 cm.